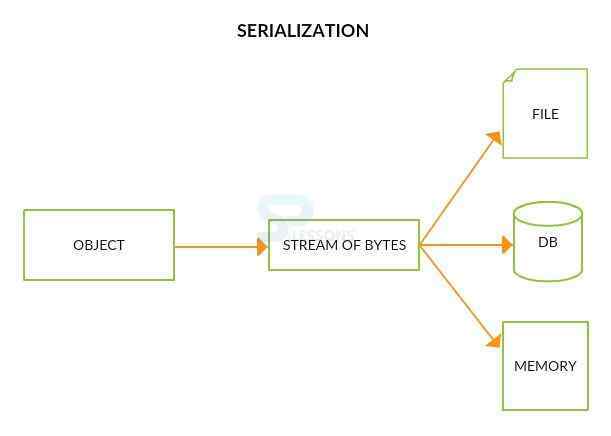 Java Serialization, Serialization is a process of changing the present state of an object in the form of byte streams. After doing Java Serialization process one can read an object from the file, deserialization is used to recreate the exist state of an object. 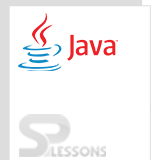 Here one interesting point is that total process is JVM independent .. To serialize or deserialize an object, a developer needs to use two classes as follows, these classes consist the complete methods of Java Serialization and deserialization. The ObjectOutputStream class will have write methods to serializes an object and sends it to the output stream, ObjectInputStream class also contains the method to deserialize an object as follows. Java Serialization, Following is an example to understand the concept of Java Serialization, here first developer is going to create one class with the name Employee as follows. While working with serialization then the class should implement java.io.Serializable interface. In the following example developer is going to assign the name, address. As earlier discussed ObjectOutputStream is used to serialize an object, FileOutputStream is going to write the data to a file. Now check the data in the folder, it will be as follows. In Java Serialization -> deserialization is the process of rebuilding the current state of an object. Based on the above example now the following code is going to deserialize an object. As discussed earlier ObjectInputStream is used to deserialized an object. FileInputStream is used to read the stream of characters. The println() is used to print a new line. The printf()is used to format the string.